Recently I have been testing out how to build the most efficient beacon pyramid (or other shapes) for Minecraft. 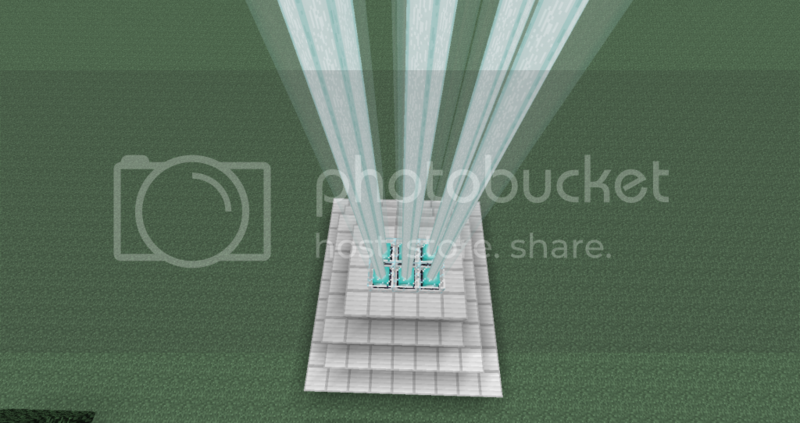 The reason I'm doing this is because I have noticed that building a full (5 beacon) pyramid is extremely expensive. I'm also playing on a whitelisted vanilla surivival (Mindcrack) based server and I'm personally looking for the cheapest pyramid. I decided I would try and share it with the Mincecraft community and maybe see if someone wants to test it even further and find a more efficient build. Lets get started, I will show you a step by step picture tutorial on how to build this design. 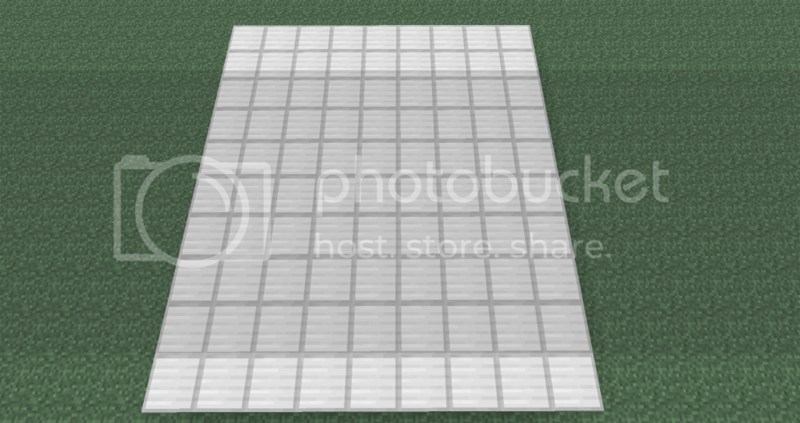 If you need help I will have another section at the bottom with pictures on the block counts (as I know i have connected textures on). 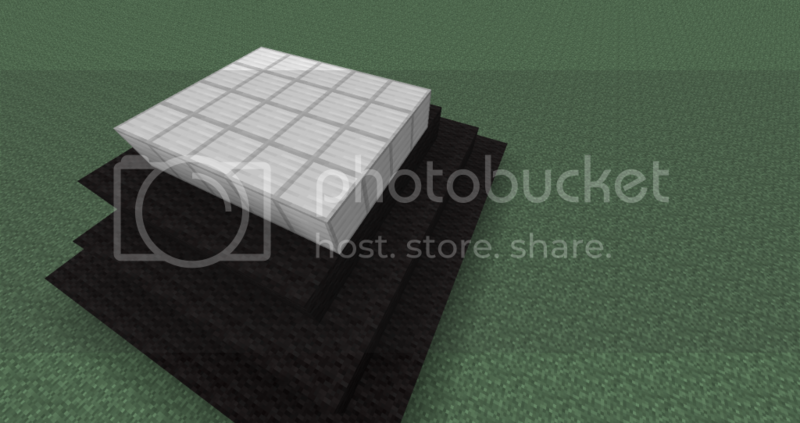 You will need 3 stacks and 10 iron blocks. Good thing, i might use it. Thank you, it took some time for the testing and it is still quite expensive but it helped me very much. I'm still sure there is someone out there who can create a cheaper design. Location: Minas Tirith, Middle Earth. Xbox: What is this magic known as an Xbox? 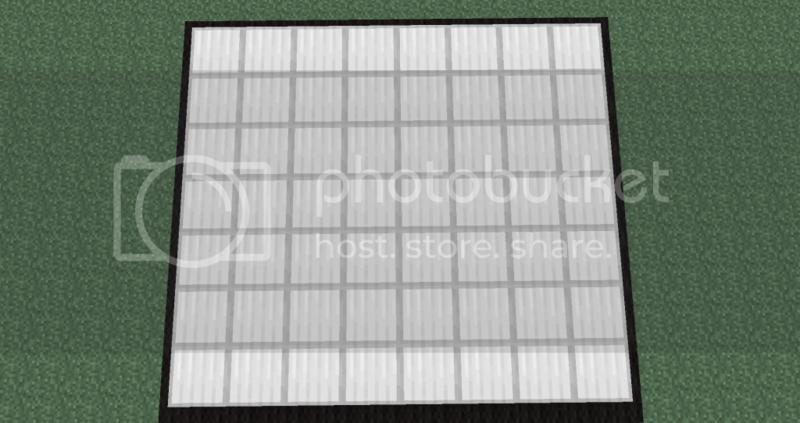 Please take some screenshots of this in default without connected iron block textures. This didn't work when I made it and I followed the instructions carefully. Why, yes, I am a brony. I've just tried this myself and I think I've done something wrong or there is a design flaw, none of the beacons are able to get regeneration or any secondary power effect, and there are a load of wasted blocks sticking out on the side. If you want to go for all the effects then you still need another beacon and a whole new layer. If you just want all the primary effects then you've wasted a whole lot of blocks. I see what you mean but I have built several normal pyramids just now and neither of them gave me regeneration, I do not know if this is a bug or if I am just doing something wrong. Also the blocks sticking out are so the middle can get strength, try it yourself, if you remove them then the middle beacon cannot get strength. And again I just build my design again in single player and i got the level 2 effects on the outside 4 beacon blocks. Make sure you are building it correctly. Thank you! 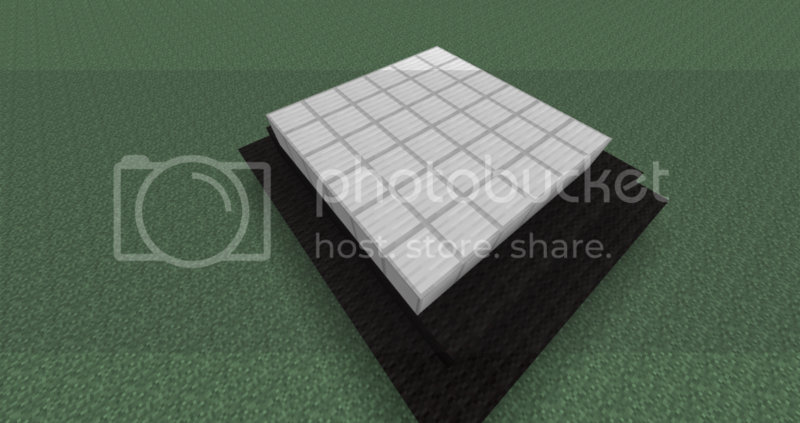 It's not a bug, you just haven't built the last layer, you need 4 properly made layers to get access to all effects. The blocks sticking out do absolutely nothing, if you think about it logically square based pyramids can't be made with like 1 little bit sticking out. I am building it correctly I believe, are you sure you aren't mistaking the "Secondary power" column as what it does or something? You still need to activate it then select one of them. You need 4 layers to get access to a secondary effect and there's 6 of them, so no you're beacon which is 3 layers at most and only 5 beacons is not going to have all effects. I built yours and it didn't work for me either. I'll try building it somewhere else - not on a Glowstone bridge, then report back. It's not a bug, you just haven't built it right, you need 4 properly made layers to get access to all effects. The blocks sticking out do absolutely nothing, if you think about it logically square based pyramids can't be made with like 1 little bit sticking out. It's not a bug, you just haven't built it right, you need 4 properly made layers to get access to all effects. I I have tried it and the blocks sticking out do absolutely nothing, if you think about it logically square based pyramids can't be made with like 1 little bit sticking out. You only need 5 beacons to get to get all 6 effects. You cannot get any level II effect. Not all of them have to have a full sized pyramid under them. You can get level II effects with a full pyramid and no regeneration, so to get every possible potion effect you do need six beacons. Yes you can get level II effects, and there are 6 effects. You need a fully powered beacon for each level II effect. Your beacon (and ThatDude's) both worked when I went into Single player and built this on the classic preset for Superflat maps. Yes, but the problem is did it give you regeneration? I tried the designs again in Multiplayer again on grassy terrain - Didn't work. I think the fact that I built these in Multiplayer in the first place broke them. No. I was just glad it worked though. I have built the design you showed and even it did not give regeneration effects. I do not see the point of having 6 beacon blocks as each beacon block is supposed to give off its own regeneration. If that is not happening then something is wrong. But his won't let you get any secondary effects, regeneration and has a lot of wasted blocks for what it does give anyway. Does just a 1 layer beacon activate on whatever server you are on? Yes. Any pyramid with just one beacon works fine. Hm, this is very strange. When I left my personal world on the server and built the exact same design in the main world, it worked.. Personal world as its a bukkit server? with teleportation to different worlds? Yes. I think WorldPortal glitched the beacons because they were next to eachother. Just a guess. You are completely misunderstanding how the beacon block works. Beacons are not supposed to give off regeneration all the time, the grayed out regeneration you are seeing on the right of the GUI is NOT what is already happening, you still need to activate that level like you would any other then choose either regeneration or the level II of the primary effect you have already chosen. Once you have built this beacon layout you should choose a unique effect for 5 of them and the the level II of that effect for the secondary power (You need to actually click on it too). Then for the last one just choose a random primary power and then regeneration for the secondary power. is a full beacon a 81x81 or an 80x80?Thats what i am wondering?